Reaves McElveen has been performing comedy all over the DC area since 2010. 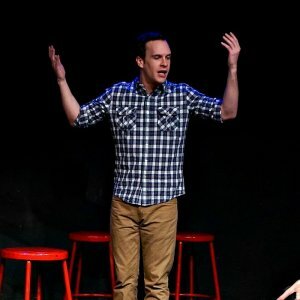 He has studied improv and sketch at Second City, iO, The Upright Citizens Brigade Theatre, and Washington Improv Theater. He was previously a member of the WIT Harold teams People Like Us and Fisticuffs. Outside of WIT, Reaves plays with Sandwich and the Jets, Reaven Stevens, and Thunderball (2013 FIST Champions). Reaves also hosts “Power Play” A live character-driven comedy variety show featuring comedians from all over the DMV area.